We owe a lot to pencils—especially those famous #2 yellows. Without the #2 pencil, how would you have learned to write your name or to divide fractions? But how well do you know the trusty pencil? Have you ever wondered where it came from, or why #2 is often chosen over #1? There is a great deal of history behind the #2 pencil, including its origin, evolution, and current use. The pencil has been around for ages, although you might not recognize its earlier cousins. In the 1500s, according to common legend, a large deposit of graphite was discovered in England when a storm uprooted it along with a tree. The graphite was pure and solid, perfectly suited for writing, although the only people using it at first were shepherds marking their sheep. People weren’t quite up on chemistry in those days, so it was another couple of centuries before a chemist determined graphite was a form of carbon, not lead as they originally thought. That’s why, to this day, we refer to what’s in a pencil as “lead,” even though it’s not. Early on, the graphite was sometimes wrapped in sheepskin or string to make it easier for the writer to hold. The Swiss naturalist Conrad Gessner is credited as being the first person to describe putting graphite into a wooden holder. 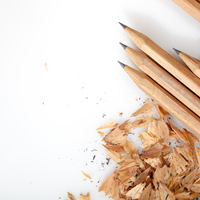 From those early days, the pencil has evolved into the familiar tool we know today. When it comes to today’s pencil, there are a few traits you probably associate with it. It’s yellow and often hexagonal. It has a pink eraser at one end. But when did pencils start looking the way they do today? The color: Historical accounts vary, but a Czech company is credited with starting this trend at the World’s Fair in 1889, painting its pencils containing fine graphite from the Far East. The yellow color, traditionally associated with royalty in China, was meant to portray the pencils as a luxury item. Other pencil makers quickly followed suit. The eraser: Pencils and erasers now go together like peanut butter and jelly. Or maybe that should be peanut butter and bread: before rubber erasers came along, some people further back in history used crustless bread as erasers. Others used wax or bits of stone. In the 19th century, people figured out how to cure raw rubber and make it durable, thus beginning the rubber eraser’s current reign. A Philadelphia man patented his idea to attach an eraser to the end of a pencil, but the patent was later invalidated since it was just two existing products stuck together. You know that the standard school pencil is a #2. But do you know why? It’s mostly the result of standardized testing. 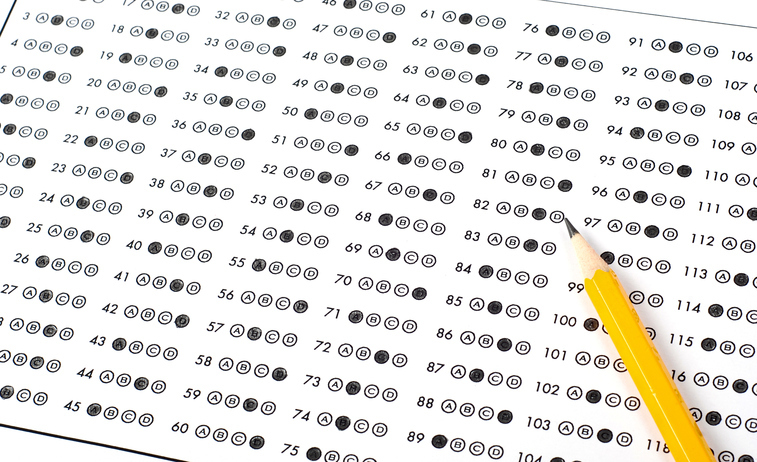 When scannable answer forms became popular, the technology handled #2 pencils best—they had trouble picking up marks from harder pencils, and the softer ones would smudge. Americans use a numerical system to label pencils based on hardness. Besides the ubiquitous #2, #1, #3, and #4 are used, with number signifying softness. But why are there so many variations when #2 is so commonly used? Artists need a wider variety of pencil hardness so they can create a larger range of tones. For example, a #1 pencil is soft and will smudge easily—good for artists, bad for test-takers filling in answer bubbles. Plus, some technical work such as woodworking or other precise drawing benefits from using a harder, sharper pencil (like a #3 or #4). Like with soccer and the metric system, though, Americans do things a little differently when it comes to pencils. Most non-U.S. pencil makers use a system known as the HB scale to measure hardness. The next time you grab a #2 pencil, think about its evolution. You might even share a couple of historic pencil facts with your friends. They’ll think you’re pretty sharp.